BlackBiz.com.au is a 100% Indigenous Australian owned business enterprise with a vision to build a central online Indigenous Australian business hub to foster, showcase and grow Indigenous entrepreneurship in Australia. A key feature of the BlackBiz.com.au web site is its bi-monthly national online Indigenous eMagazine, BlackBiz, which showcases and profiles a vast array of Indigenous business talent in rural, urban, remote and Island communities across Australia. Click here for more information and to read BlackBiz eMagazine. BlackBiz also offers communications, marketing and advertising services to Indigenous businesses. More information, and the 4th edition of BlackBiz, launched today, is now available at www.blackbiz.com.au. This edition has some great articles on Reconcilliation week, an interview with Dr Anita Heiss and some really important business tips, as well as more inspriational Indigenous profiles. Indigenous Business Australia (IBA) is offering free Into Business workshops in Carnarvon and Geraldton to assist Aboriginal people to fully investigate and research their business ideas before taking the leap into business ownership. The workshops are run in three parts, with part A: Your business idea, goals and expectations, running on 7 August 2012 in Carnarvon and 8 August 2012 in Geraldton. It includes stories on the Nyangumarta and Karajarri joint native title determination, proposed changes to the WA Aboriginal Heritage Act, an agreement between the Ngarlawangga people of the Pilbara and Rico Resources, YMAC’s recognition at a community service award ceremony, and the launch of the Wajarri Dictionary by the Bundiyarra Irra-Wangga language program. There are also profiles on Clarrie Cameron in our regular section “Respect for elders”, successful Yamatji businessman Fred Taylor, and YMAC staff member Daniel Shiosaki. 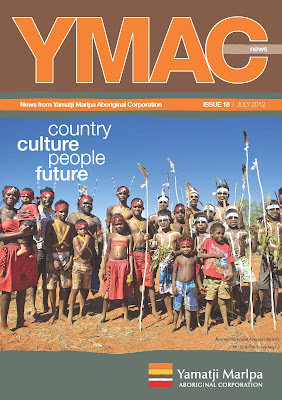 We’ve included a special section on the 20th anniversary of the Mabo decision, a policy update from YMAC’s policy officer, and a selection of snapshots from around the community in the last few months. Fresh fruit and vegetables are now being delivered regularly to residents at Punmu and Parnngurr, thanks to a joint initiative between Newcrest Mining and community developers from those regions. The project, which has been in operation for nearly two years now, ensures people from remote areas have regular access to WA-grown fruit and vegetables. The produce is sold at an affordable price in community shops once it is delivered. While the initiative was created to assist community members become healthier, it has also helped to generate trust between local community groups and business organisations. The Shire of Roebourne is creating a new Youth Leadership Network to engage young people in learning, leadership and community development. The goal of the project is to raise public awareness of youth issues and address negative stereotypes by actively involving young people in the planning of community events, programs and activities. The Shire is looking for 15-25 year-olds from a variety of different backgrounds to get on board. Filed under: Indigenous Arts, Mid West, Oakajee Port and Rail. 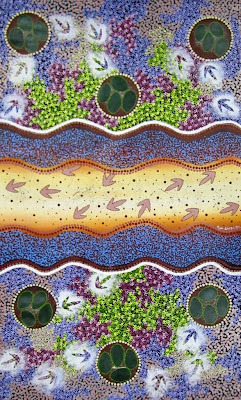 An art exhibition aimed at raising the profile of Indigenous artists from the mid-west region of Western Australia will open next week in Perth’s city centre. The ‘Good Heart Mid-West Aboriginal Art Exhibition 2012’ is a community-based project backed by Oakajee Port and Rail, which will showcase work from contemporary and traditional Indigenous artists of WA’s mid-west region. This is the fifth year the exhibition has been run in Perth, and in celebration of its continued success, Oakajee Port and Rail have announced a new devleopment grant for two participating artists. The recipients of these scholarships will receive art supplies and tutition at the Kidogo Art Institute in Fremantle. The exhibition will be staged in the foyer of the QV1 Building from 18-22 June. Entry is free, 10am-4pm. All artwork is for sale. The WA Department of Indigenous Affairs yesterday announced that it has extended the deadline for lodging submissions on the Department’s Discussion Paper outlining proposed changes to the WA Aboriginal heritage regime. The deadline for comments is now Tuesday, 26 June. YMAC encourages all West Australians who care about protecting our rich Aboriginal heritage to have a look at the proposals and tell the Minister for Indigenous Affairs what you think about them. Yamatji Marlpa Aboriginal Corporation (YMAC) has welcomed today’s announcement by the Commonwealth Attorney-General, Nicola Roxon, of a package of reforms and additional funding to improve the efficiency of the native title system. In particular, YMAC is pleased that the Government has committed to put forward amendments to incorporate criteria for good faith negotiations into the Native Title Act. This is in line with suggested amendments YMAC put to the Government in 2009, following FMG Pilbara Pty Ltd v Cox (2009). Simon Hawkins, CEO, Yamatji Marlpa Aboriginal Corporation said, “The High Court’s decision resulted in our push for these ‘good faith’ amendments, to set out clear expectations and certainty for all parties. · Proposed amendments to allow parties to reach agreement over the historical extinguishment of native title over parks and reserves. · The Government has agreed that financial payments to native title parties as part of agreements won’t attract income tax or Capital Gains Tax. This will guarantee that compensation paid for the impairment or loss of native title rights will be treated like other forms of compensation. Jenny Macklin, Minister for Families, Housing, Community Services and Indigenous Affairs also addressed the conference, announcing a long-awaited review of the roles and functions of Native Title Representative Bodies. 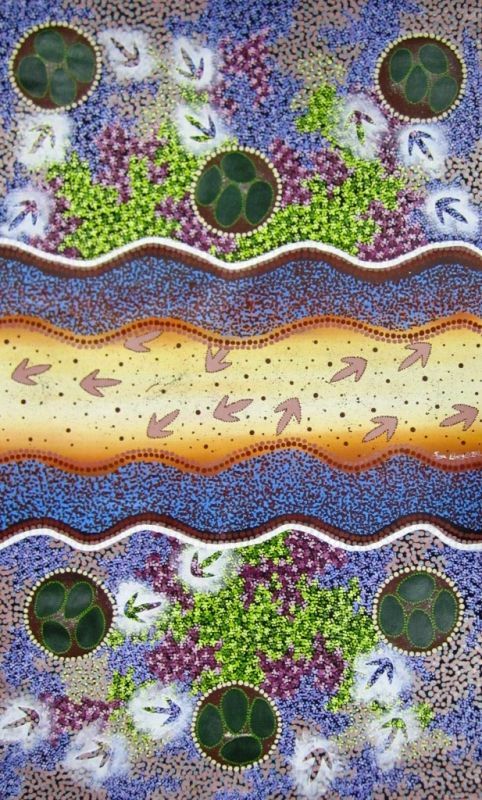 YMAC hopes this review demonstrates the extensive work Native Title Representative Bodies are doing to support native title groups as they move into a post-determination environment.